For current upcoming events, visit our events page here. What do you like to do with your kids over holiday breaks? Let us know in the comments below and you&apos;ll be entered to win 2 adult and 2 child passes to Bellaboo&apos;s! Contest ends December 16, 2012. We&apos;ll randomly choose 15 winners and announce them on our blog and facebook page on Monday, December 17, 2012. The 4-packs are good through the end of the year. Good luck! If you have little ones and have not taken them to Bellaboo&apos;s Play and Discovery Center in Lake Station, you are missing out! I wish they had something like this when I was a kid. Part of Lake County Parks, Bellaboo&apos;s offers tons of fun through imaginative play for young kids. The building is divided into multiple rooms, each with its own theme. My daughter&apos;s favorite is the face painting room with mirrors and face paint crayons for them to decorate their faces however they&apos;d like. My son is much more partial to the soft play room, with an indoor jungle gym that reaches the ceiling, slides and a ball pit. They have a small "town" with a pretend grocery store, kitchen, dress-up, and pizza parlor. Other rooms include waterplay, trains, reading and a cooking class with sessions a few times a day. They also have a café in the center of the building that&apos;s open so you can still keep an eye on your little ones as they play. Throughout the year, Bellaboo&apos;s has different activities and special events. Right now on Thursdays for kids 1 to 3, they have a Family Music Class from 9:15-9:45 and there&apos;s also Cookie Decorating with Mrs. Claus in the cooking sessions. A couple of the great special events they have every year are "A Black Cat&apos;s Meow" around Halloween and coming up - "Bellabration" on New Year&apos;s Eve! 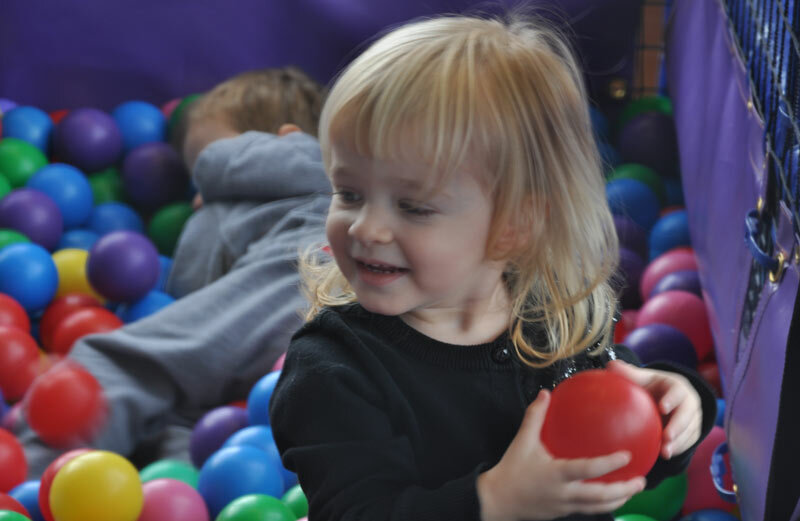 Bellaboo&apos;s is the perfect place when you&apos;re looking for things to do in Northwest Indiana for little kids over the holiday break.